Kraków Główny Escape Plan - or How not to Get Trapped in Cracow’s Main Station. I see you. Yeah, you. I see you. Standing in front of those luggage lockers at Kraków Główny station. Yes, they DO only take Polish money. Coins, ffs. Of course you haven't got any Polish money on you, much less 12 zloties in coins. 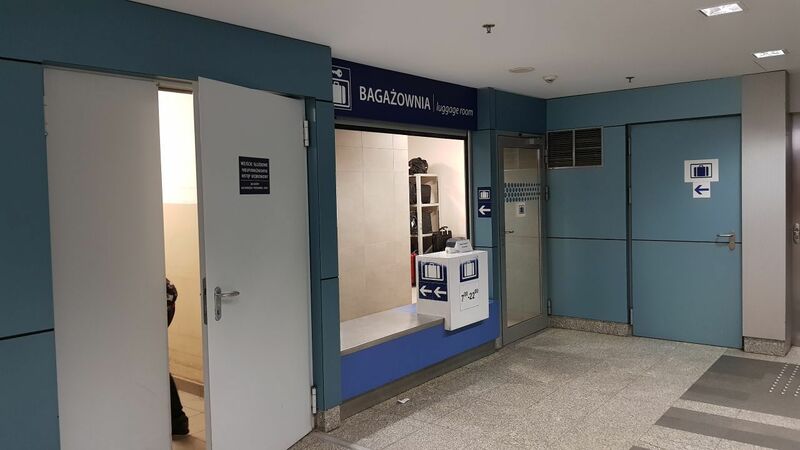 The luggage lockers at Kraków Głównyonly take Coins. Polish coins. That was me in September 2014, the first time I ended up at Cracow's new station, so I know the feeling. What happened then I don't want to describe. Let's just say when I returned in November 2014, I was prepared. As you will be after reading this post and downloading my free e-guide. 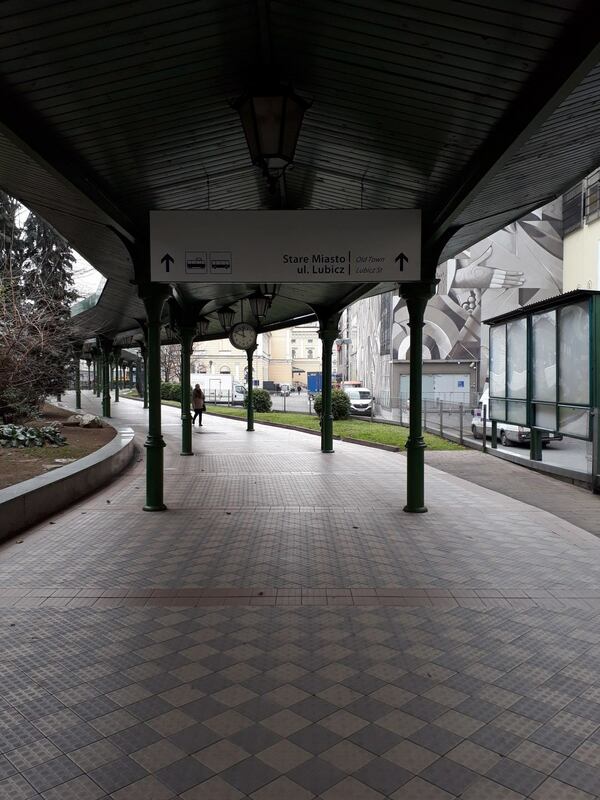 Escape plan for Cracow Station? When you arrive at a strange station, in a strange country, it can all be a bit much. It takes you time to find your bearings, time in which you get lost and waste money. 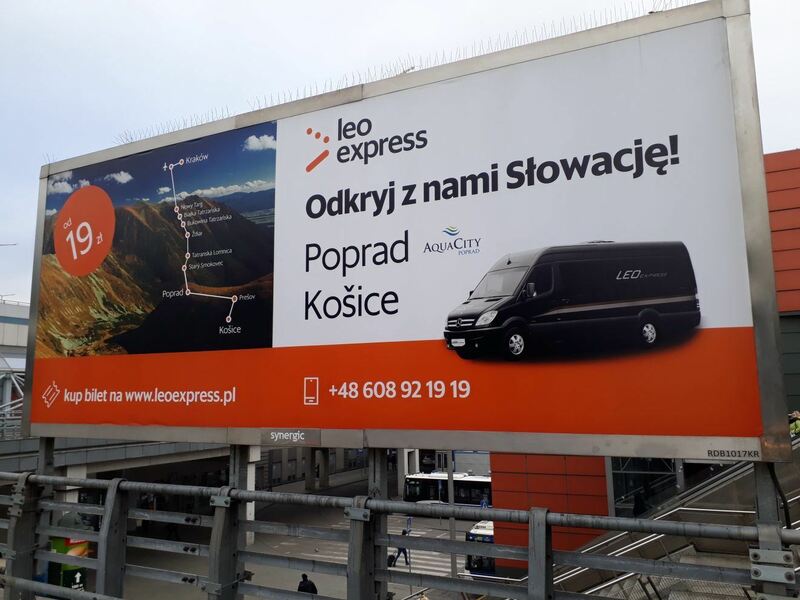 Kraków Główny? Almost. This is the shopping centre you have to pass through to reach the trains. what tram ticket to buy. If indeed you need one. 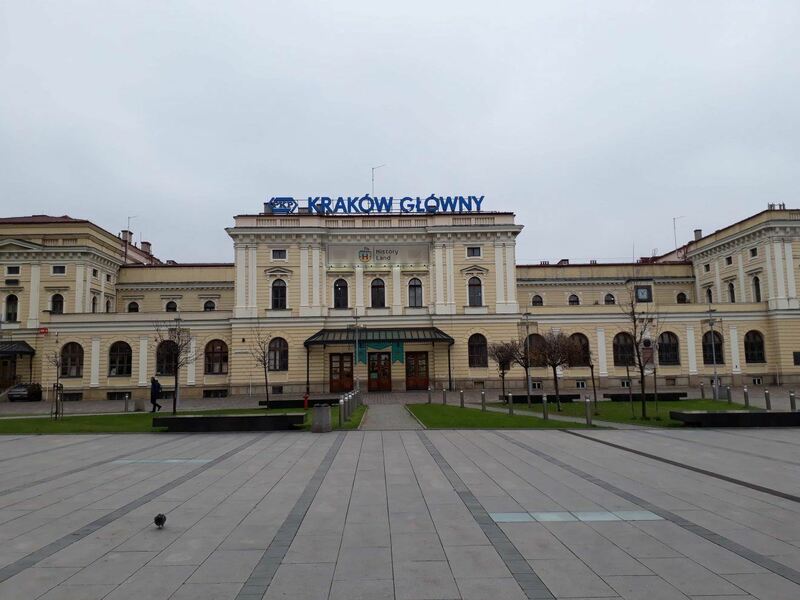 Krakow Glowny railway station is in the centre of Krakow on the edge of the old town. It is ten minutes walk from the Rynek, or market square. Cracow had a nice, classic station building, built by the Austrians in the 19th century. A station building, in front of it the platforms, a tunnel connecting them. Simple. Kraków Główny's old station building, as used up until 2014. It now stands empty. 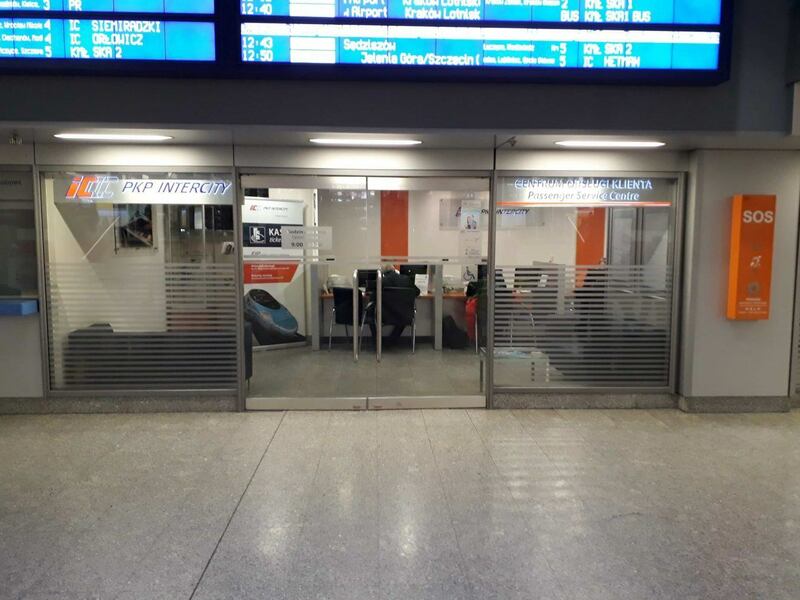 This closed in 2014, and Cracow’s new station came online. All the station stuff - the halls, waiting rooms, ticket offices - is now underground. Underneath the platforms, which have remained above ground. Immediately underneath the platforms is a wide underpass with shops and cafés. This underpass is open on one side and lets you into the cavernous station hall with all the necessities: ticket offices, luggage lockers, loos etc. The whole complex is 100 metres left of the old station. On the west (Old Town) side Kraków Główny is flanked by the Galeria Krakowska shopping centre. On the east side you’ve got Krakow Bus station. Coaches go from here in all directions across Europe. First things first: do you want to jettison your luggage? OK. Have you got cash? 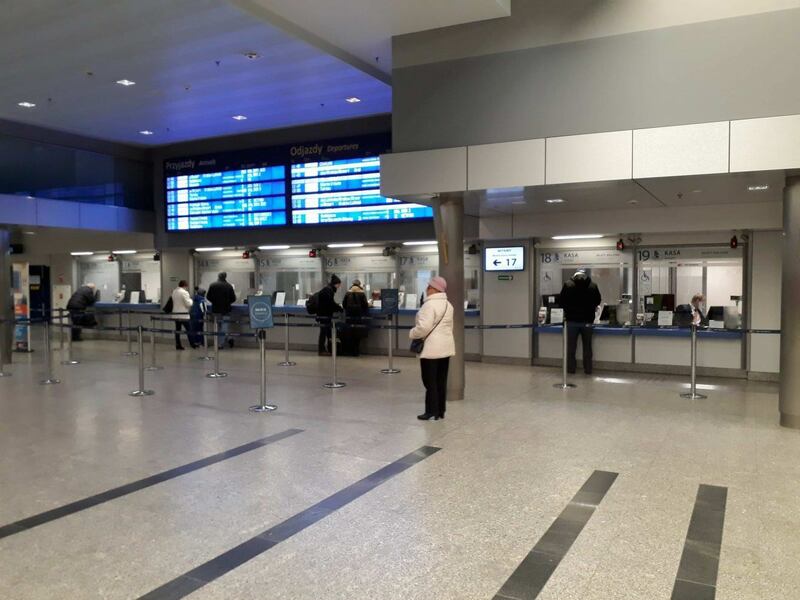 You can pay for everything with a card at Cracow station. Except the the luggage lockers and the loos. There is also a left luggage office, but this also only takes cash. Means: if you want to leave your luggage, you need Polish money. The only bureau de change at Kraków Główny. Next to it is the privately run left luggage office. 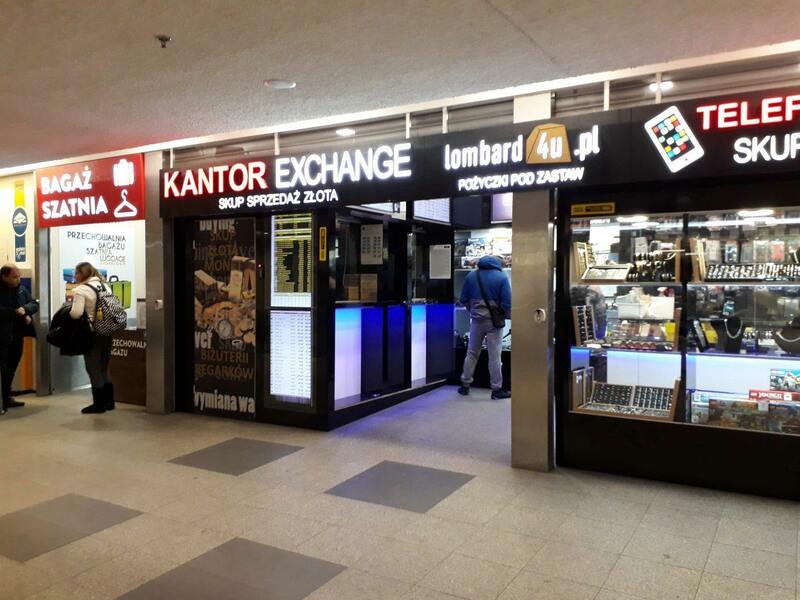 One way to get Polish cash is to exchange a small amount at the Kantor near the main Galeria Krakowska exit. Don’t look any further, it is the only bureau de change in that area. The exchange rate is bad, which is why you should only change enough for your immediate needs. Don’t change with someone hanging around in front of the Kantor offering a better rate. The rate may be better, but that is useless if they exchange your hard cash for old Belarusian roubles. AVOID the Euronet ATMs that infest Cracow station. These are not bank machines, they are unsuspecting-tourist-self-scamming machines. You might as well go out into the street and give your cash to one of the fake money changers. 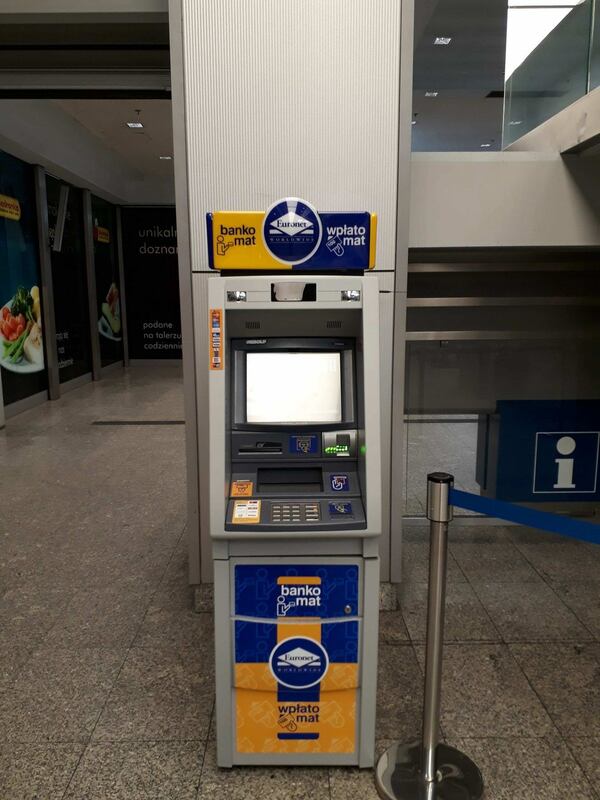 Here is a great video about the Euronet ATMs in Prague. You need a bank machine from a real bank. 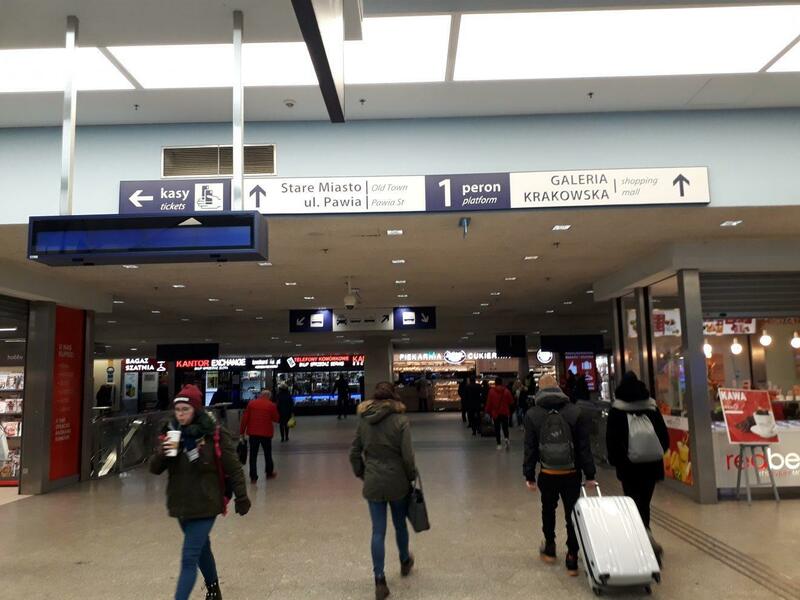 The closest real ATM is at the threshold between the Galeria Krakowska and the station. It belongs to mBank. Or walk straight on, keeping left, and you’ll find an ING bank. Both will give you money at a normal exchange rate. I usually take out 150-200 zlotys to get started. The machine will ask you if you want your account debited in PLN (Zlotys) or your home currency - EUR, GBP, USD. Always ask for PLN. 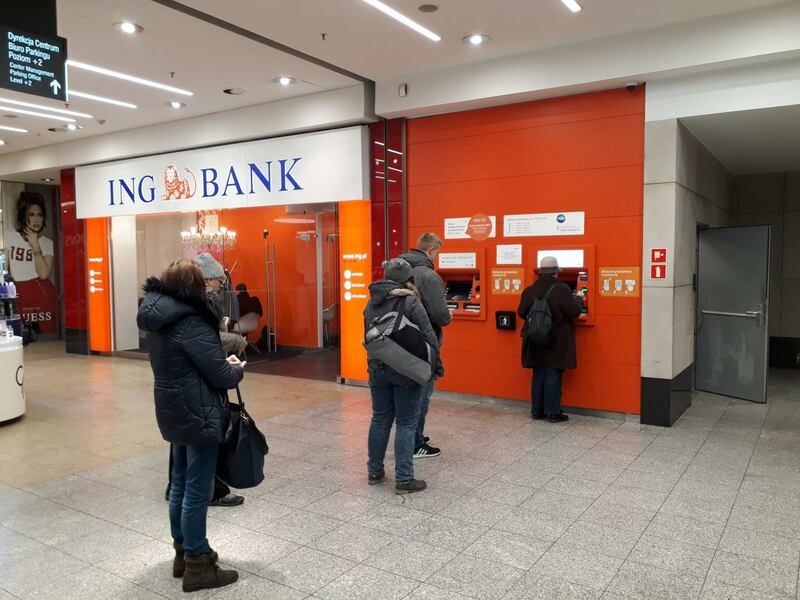 ING bank is in the Galeria Krakowska shopping centre. That way, you get the open-market exchange rate. This is better than the “fixed” exchange rate which they will use to debit your account in euros or dollars. The ATM will go: “are you sure? Most people take the fixed rate”. This is because most people don’t understand the difference. Decline the conversion. Now you can take your money and head back to the station. Time for a treat. Or go straight to the section on How to get the feck out of here. 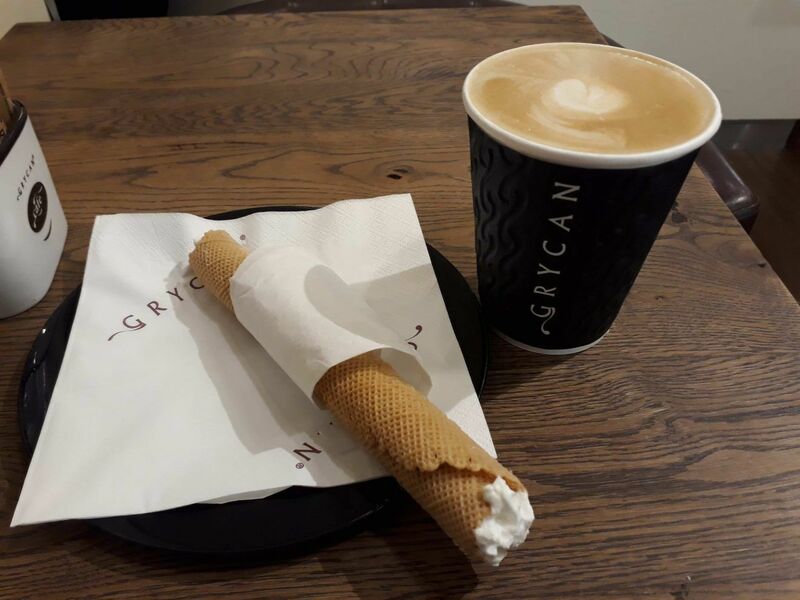 Grycan is a good Polish ice cream parlour and café. THE Polish ice cream chain (their slogan is “ice cream since generations”). Strong coffee, succulent cakes, luscious ice cream. For something traditional, try the “rurka z bitą smietaną” (say: ROOrkah zBEEtong shmyeTAnnong). This is a waffle filled with fresh whipped cream. Rurka z bita smietana. A lovely light Polish snack. Decent Polish food at decent prices. The Polish breakfast will set you up for the day ahead. Pierogi are also nice - dumplings filled with potato and cheese, meat, or strawberries. Or try the sour rye soup (Żurek). On early mornings after drinking the night away with the Australians in your couchette, you'll need Żurek. It is tart and has an egg floating in it. And lots of sausage. Now you've fortified yourself - let's get the feck out of here. 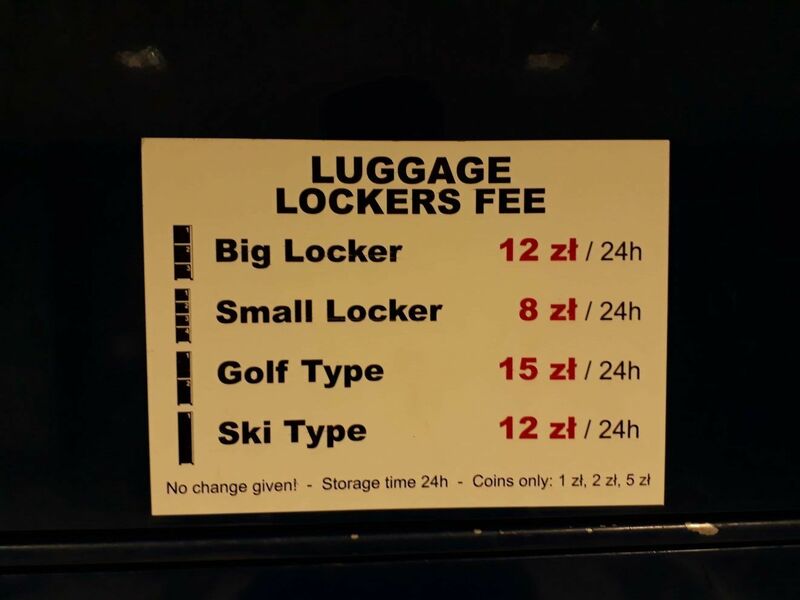 Now you are armed with zloties you can use the luggage lockers. There are lots of them. 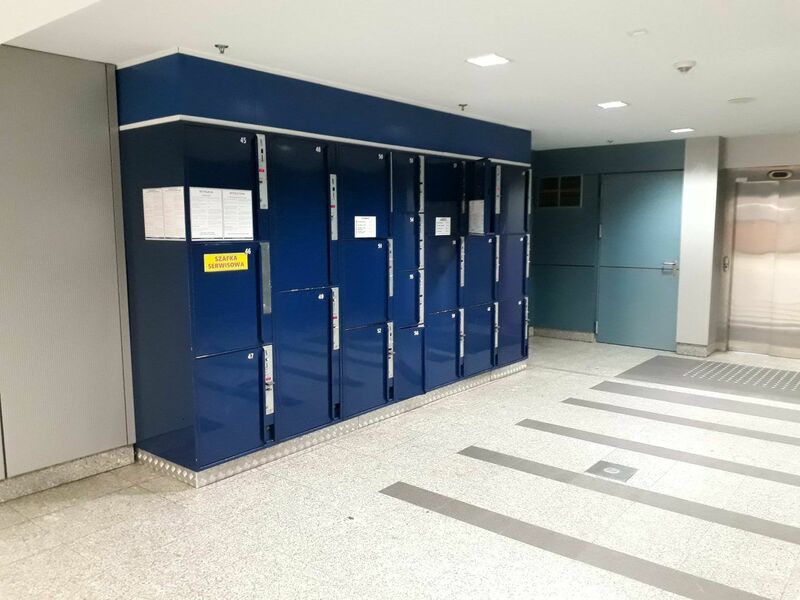 You can find the luggage lockers underneath almost every platform, at the lower of the two levels that make up the station hall. Then there are two left luggage offices with staff. One is underneath platform five and takes 15zł/piece. It is station- run and staffed with grumpy men reading newspapers. The other one is next to the Kantor and costs 13zł/piece. It is privately run and staffed with grumpy student girls bent over smartphones. After the new station opened, people were quick to point out that it is hard to find your way out of the station. And just as hard to find your way in. 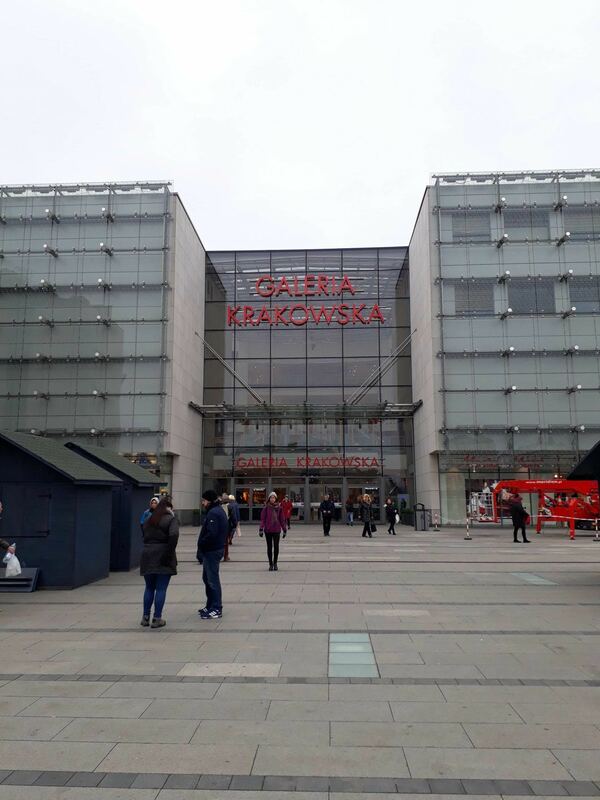 The biggest western exit leads you straight into the heart of the Galeria Krakowska. The next western exit also gets you into the Galeria. Only one western exit, at the south-western corner of the station comes out into the open. On the eastern side you come out at the two-deck bus station. The sight is not pretty, and definitely not what you came for. Lets say you are in the underpass between the platforms. Kraków Główny underpass, facing the Galeria Krakowska. Bear left for the secret exit. Much depends on where you are staying. All I can do here is tell you which lines go where and what ticket you had best buy. If you are staying in, say, Kazimierz, you wil want to go by tram. Ditto if you are going to my favourite part of Cracow, Nowa Huta. There are 20 minute, 40 minute, 60 minute tickets, two journey tickets and day tickets. For Kazimierz, a 20 minute ticket is fine. The same goes for Nowa Huta. The intuitive way into the station is through the shopping centre. Walk into the Galeria Krakowska and follow the signs “Dworzec PKP”. The direct entrance is hard to see unless you know how to look for it. Walk towards the old station building and keep left. Walk along the left wing of the old station building. 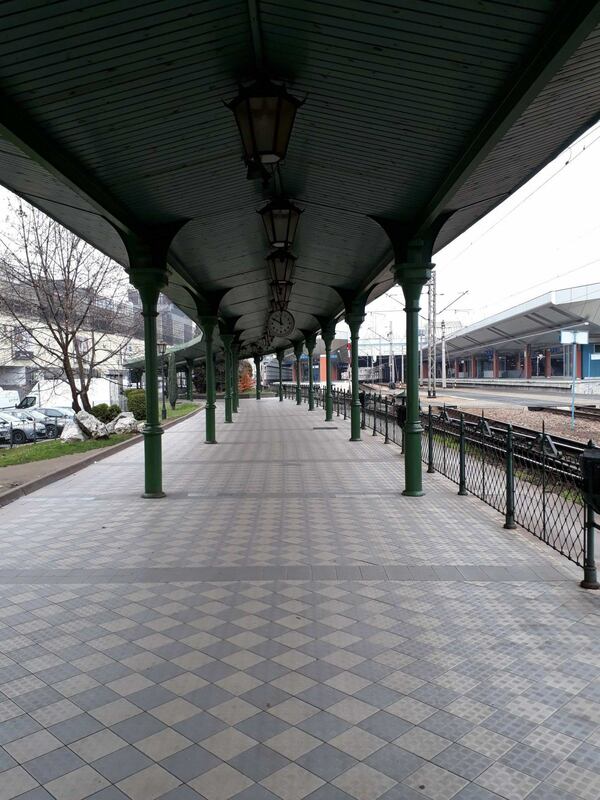 You will find a colonnade that takes you to a flight of stairs that descend straight into the station. 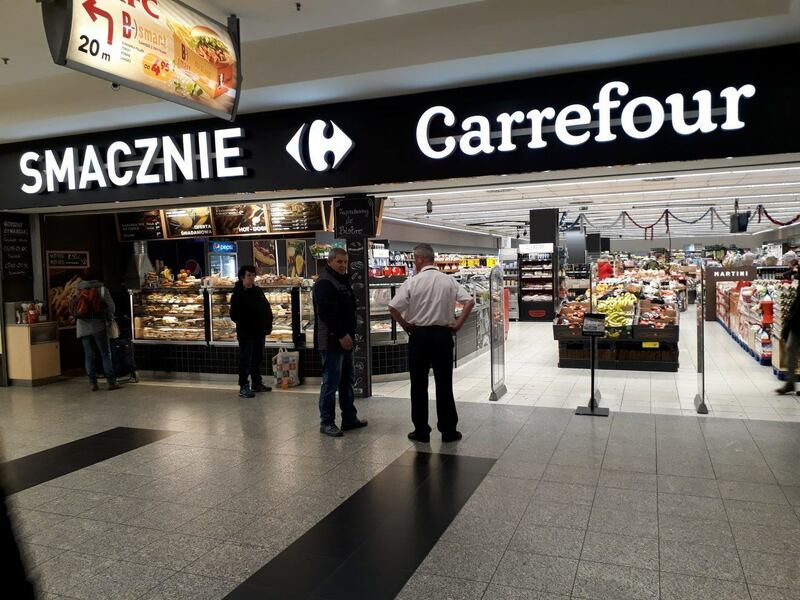 Firstly, Carrefour, just inside Galeria Krakowska at the exit into the station. Secondly, Biedronka, which is in the station itself. I prefer Carrefour. For water, if you like it still, go for Żywiec Zdrój. If you like it sparkling, go for Kryniczanka or Muszynianka. Don’t waste time choosing beer. Stick to Żywiec or Tyskie, or try Perła if you want something more bitter. I've tried all the other Polish stuff, nothing is as good. For chocolate, what is delicious is the Wawel Kasztankibar. This also makes a great souvenir. Walk out of Carrefour and head straight ahead through the mall. Within a minute you’ll see a shop called Krakowski Kredens on the right hand side. Krakowski Kredens affects to be traditional and does it quite well. You can get very good sausage and ham here. Also smoked and unsmoked platted Polish cheese strings (“Warkocz” - say VARkotch). These are perfect on a train, as very easy to handle. Krakowski Kredens have lovely bread as well. Krakowski Kredens sells traditional Polish food in small packets. Not that cheap, but very good. This shop sells other long lasting, transportable Polish goodies. Organic food? Vegan in Poland? 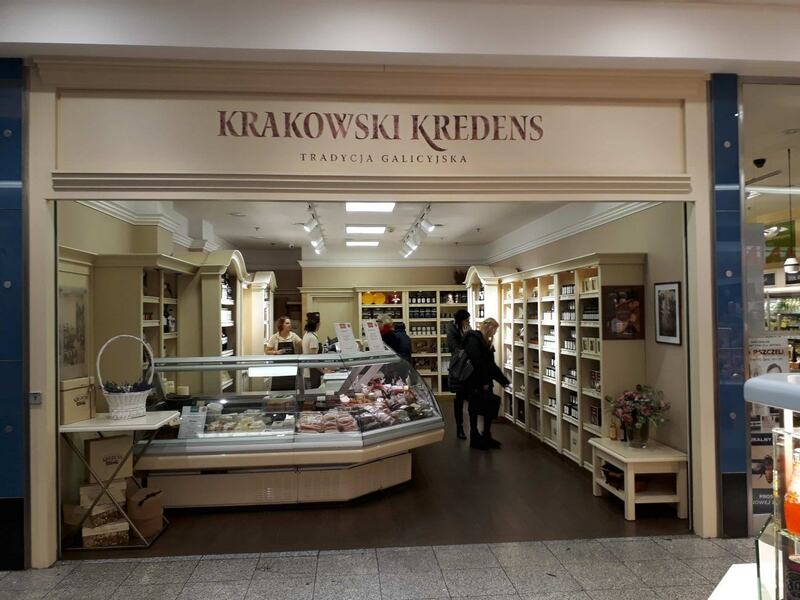 If you want organic food, right next to Krakowski Kredens is an organic shop. I’ve got delicious kabanosy there. Also very nice is the Ciechan organic beer. Unpasteurised and very rich. If you are vegan you will have noticed that the only vegan products in Poland are beer and cigarettes. But here you’ve got a bigger selection of stuff without anything animal in it. 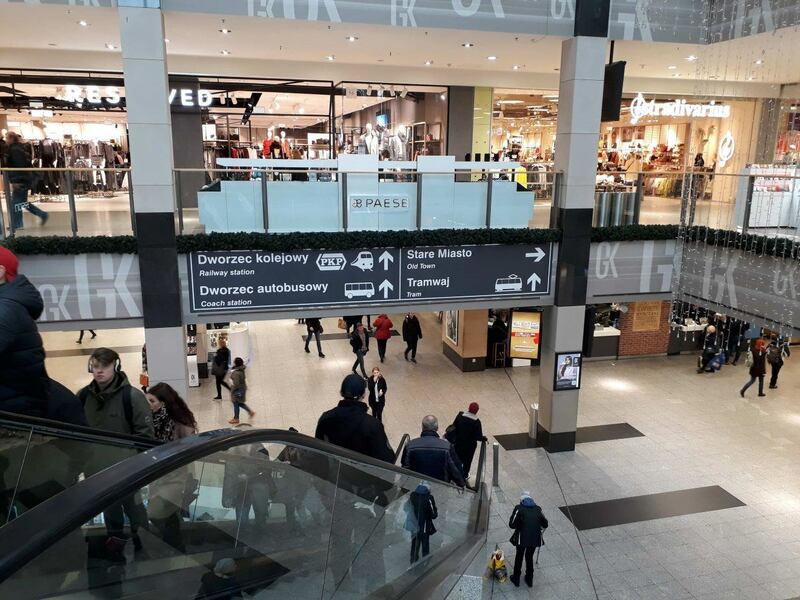 When you enter Galeria Krakowska from the station square and descend the escalator, behind you will be a big shop called Empik. 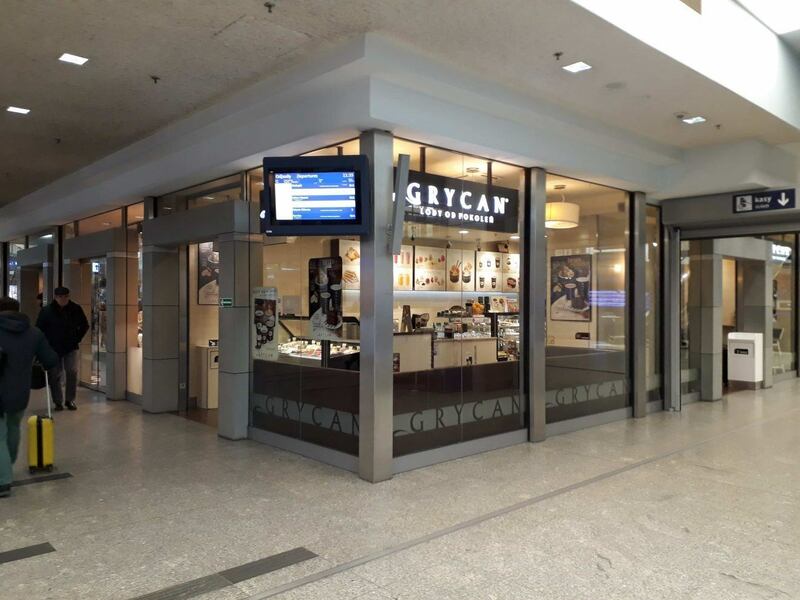 Empik has everything media, including CDs, books, magazines and posters. They also have postcards and pens. In the 19th and early 20th century, Poland was famous for its fashion. Now it is returning. For lovely women’s fashion, look out for Wólczanka (not an affiliate). I got beautiful blouses for my wife there. For men’s clothing, look into Vistula (again, not an affiliate). I’m wearing my Vistula suit in my Nightjet goodie bag unboxing video. For international tickets, especially for night trains, don't join the normal queue. Go straight to the COK - the centrum obsługi klienta, aka the passenger service centre. This office will also sell you tickets for the EIP pendolino trains, Polish Rail's premium train. For standard tickets within Poland, join the main queue. It is served by multiple windows. I've never had to wait long. Poland has been through a catastrophic railway-deregulation. 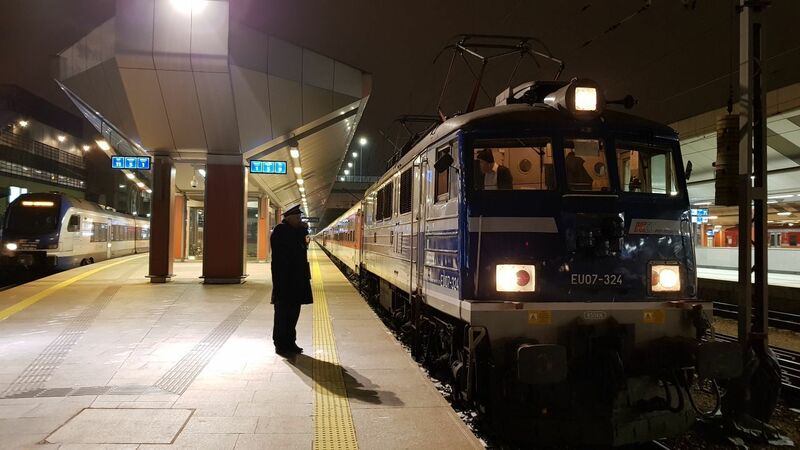 The state operator PKP has been dismantled and only does intercity trains - PKP Intercity. The local trains have been split up into regional companies that are owned by the various Polish regions. The windows can sell you tickets for most operators, but not all. If at some point in the future the Poles manage to sell you an entire itinerary with multiple operators on one ticket, it will be hailed as a miracle of IT and progress. In fact this was normal until Poland's car-crazy government screwed up the trains. There are also ticket machines. I admit that I have never used one, simply because I've never bothered. 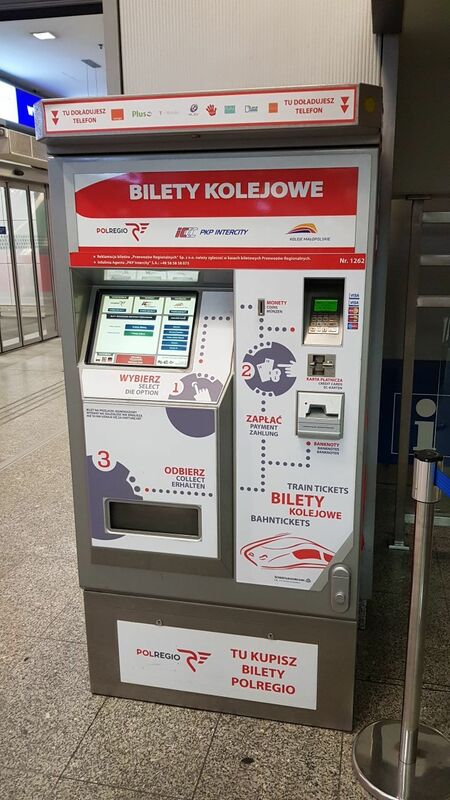 These should also be able to give you tickets for most destinations in Poland. Here is a picture of one, as seen at Kraków Główny. • Each track is divided into sectors. These are not usually relevant. • Trains are announced “arriving on track x at platform y”. When you read the departure board, you will see which peron your train is leaving from. And always pay attention to what it says on the train before you get on. I've put all this information into a nifty 20-page e-guide with lots of pictures and maps, so you can find your way more easily. You can download it and have it at your disposal always, without having to rely on the internet. If you join my free Rail Guide Europe club, you get the password for my free e-guide library.